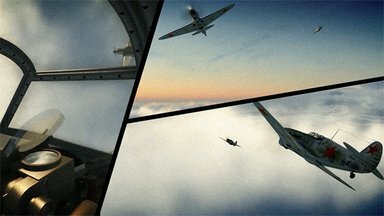 By buying the game here, you're making sure that 100% of your investment goes directly to the IL-2 development team. Thank you! 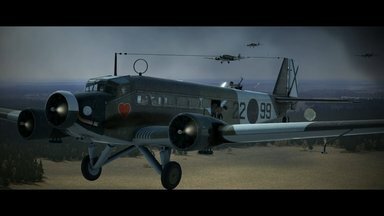 Details about out the new generation of IL-2 Sturmovik series titles can be found on 'About the Project' page. Robust Single-Player Campaigns that recreate the great battles of WWII, letting the players become a participant of these events. 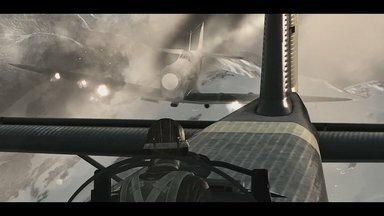 Flexible Quick Mission mode that allows you to create your own custom combat scenario in just a few mouse clicks, allowing a convenient way to familiarize yourself with aircraft and hone combat maneuvers. Classic multiplayer mode with convenient lobby system allows friends to meet each other at a virtual battlefield to battle in the air and on the ground. Mission Editor tool allows you to create your own scenarios of any complexity for single-player and multi-player alike. A virtual flight never was so real. Our complex flight-models allow for an unrivaled feeling of flight. Take control of various types of aircraft - fighters, attack planes, bombers and take on challenging combat missions. Control aircraft using either a joystick that allows for greater control or a mouse without compromising the high fidelity of the flight modeling. Aircraft controlled by advanced AI provide a formidable challenge. Players can issue orders to AI pilots under his command, significantly influencing the battle. Our virtual planes are as true to their real counterparts as possible, not only visually, but also in their flight characteristics. Knowing their pros and cons can give a winning edge in a fight. Multiplayer mode allows players from the entire world to compete. To prevail, one needs to be brave in addition to having piloting skills. Player controllable tanks with detailed interiors, realistic gun sights, painstakingly recreated armor protection and realistic suspension kinematics make the game even more believable. Invite your friends to your crew - they can become your gunner in a multi-seater plane or in a tank. The campaigns use the real chronology of the events of the WWII battles depicted. The sim includes thousands of square kilometers of accurately recreated terrain of that time. Only in our project you can see how Stalingrad, Moscow, Rzhev, Kalinin and other cities and towns looked from above during WWII. While recreating aircraft, we used recently de-classified documents from the Central Archives of Russian Ministry of Defense as well as other archives from museums all over the world, allowing us to achieve the highest level of accuracy. Our precise flight model technology allows for a completely new insight into air combat performance and history of the modeled aircraft.